On Wednesday, September 23, 21015 Ben Carson came to a local University near me to give a talk. Since my husband and I like to be informed about, and participate in current events, we signed up and went to hear Mr. Carson speak. There was a great turn out, our local newspaper estimated 3,500 people attended. There was a long line, but it moved quickly. There was a feeling of hope in the air and it was fun and refreshing. When we got inside there was a modest stage, with no podium, but an American flag as a backdrop. There was standing room only in front of the stage and bleacher seating on either side. So we made our way to the top section so we would have a good view. The ‘people watching’ is great at these events, by the way. We had an hour or so before Mr. Carson was due to speak, everyone around us was making small talk while we waited. A gentlemen who sat in front of us, my knees almost in his back, turned around and asked, “so, do you think he has a shot at actually winning?” Then he and my husband began discussing that when the aha moment happened. I thought how interesting it is that Donald Trump, for example, jumped in the political arena and rocked it at its core, challenging the status quo on many levels. And how sorry I felt for Jeb Bush who has been groomed, educated and worked his whole life to be a successful politician. Then one guy comes along and changes all the rules, and the campaign landscape, in a heartbeat. 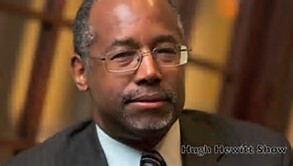 Ben Carson, a devout Christian man, comes along with his quiet demeanor and brilliant mind, and speaks about being a Christ-centered leader, and an American patriot, and how important unity is. He didn’t give rhetoric or even many opinions. Instead, he gave us homework. He told us to go and find out for ourselves what the national debt was, and why so many government regulations are hurting our economic growth. Carly Fiorina, a sharp women, smart, and well spoken. Her answers are often ‘we the people’ focused, and I have yet to hear her personally attack anyone. She seems strong on foreign policy issues and to have solid plans and answers when pressed on difficult issues. I mention these individuals because they are deemed the ‘outsiders.’ The non-career politicians. It occurred to me that winning first place is not always the most effective a person can be. Sometimes our effectiveness comes from just being involved. These three ‘outsider’ candidates are literally re-writing how this presidential campaign is happening because they choose to show up, speak up and be involved. How will the landscape of your personal and professional life change when you do the same thing? We have Donald Trump – loud, over-stated, kinda in your face. We have Ben Carson – mild-mannered, Christian, surgeon. And we have Carly Fiorina – a female, intellectual, business woman. All different styles, approaches, and backgrounds, but each one contributing to changing history by being involved. Your involvement matters. It matters in your family, your community, your business, your life story. We don’t have to take first place, or win every time, to matter. Loving people enough to get involved is what makes us matter…and quite possibly could change history. Oh, and to answer the gentlemen in the bleachers question; do I think Ben Carson will win? He will if God wants him to. And when you respond to God’s will in your story, you will win too!